There is very little that can take away the pain of losing a loved one, but Advanced Planning can ease the stress on family members before the need arises. It offers individuals and families a chance to make sound and informed decisions regarding one's wishes and instructions to be followed at the time of death. 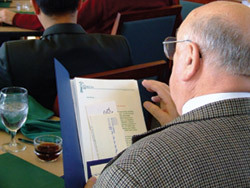 Contact Hamilton's Funeral Home at 515-243-5221 to set up a time to meet with our Advanced Planners who can assist you. Advanced Planning consultation is free of charge and we will provide you with all the information you need to get started. We'll also work with you to understand all the disposition types and costs, answer any questions and provide a tour of any of our facilities. Funding for prearranged funerals is also available for those who wish to prepay their funeral expenses. Paying for these products and services in advance can sometimes be the easiest and most affordable option, as prefunding can protect your family from having to pay future price increases.